This Fixman 10-in-1 Screwdriver Set is made to get the job done. Designed with a comfortable grip handle and constructed of heavy duty metal. Ideal multi-purpose tool. Includes: 10 pieces. The Husky 6-Piece Philips and Slotted Screwdriver Set is a perfect set for first time homeowners or apartment dwellers and can handle most screwdriver jobs in these environments. Contoured handles provide superior torque generating power and enhanced comfort. Handles are also easily cleaned and resistant to dirt, grime, oils and solvents. The alloy steel blades are heat treated for superior strength and are chrome plated for resistance to corrosion. 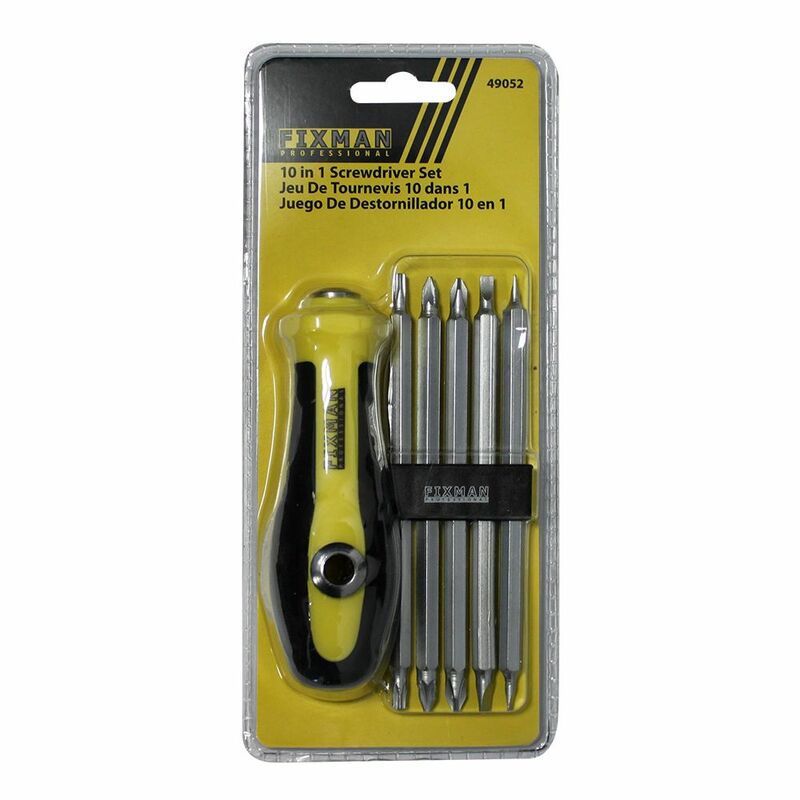 10-in-1 Screwdriver Set This Fixman 10-in-1 Screwdriver Set is made to get the job done. Designed with a comfortable grip handle and constructed of heavy duty metal. Ideal multi-purpose tool. Includes: 10 pieces.